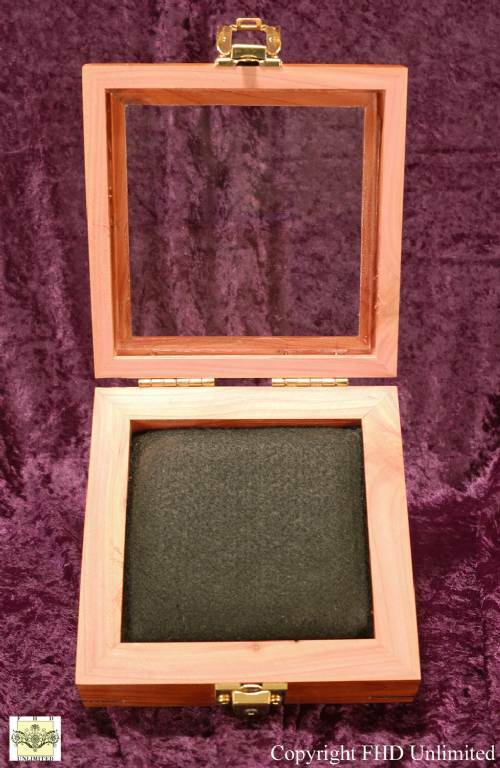 Pocket Watch Display Case - 6" x 6"
This beautiful and high quality solid wooddisplay case is ideal for showing off that special pocket watch. 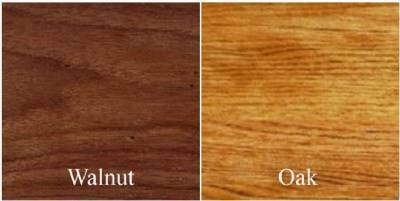 Available in two wood choices, oak or walnut, select the wood that complements your pocket watch and your decor. 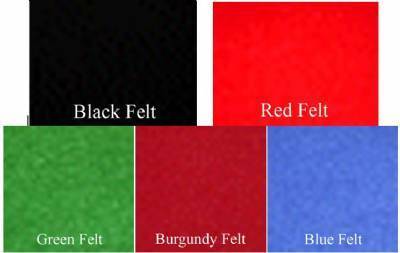 Case features a foam insert and comes with your choice of felt backing colors (blue, black, green, burgundy, or red), brass plated hinges and locking latch. 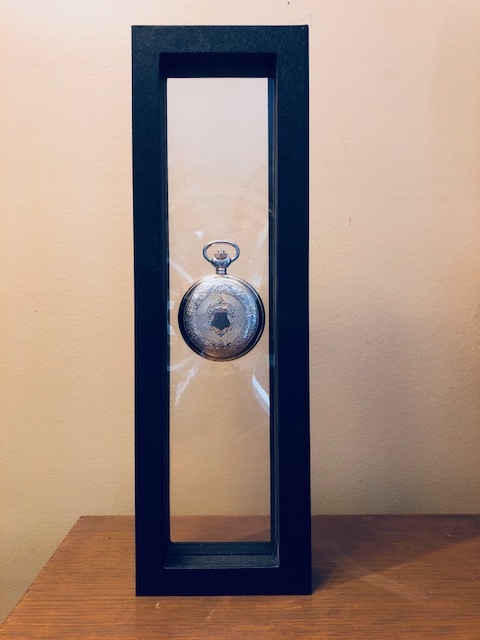 Exterior Dimensions are 6" L x 6" W x 2-1/4" D. Interior dimensions are 4 1/2" L X 4 1/2" W x 1 1/4" D.
Click on the image below for more information on displaying vintage pocket watches! 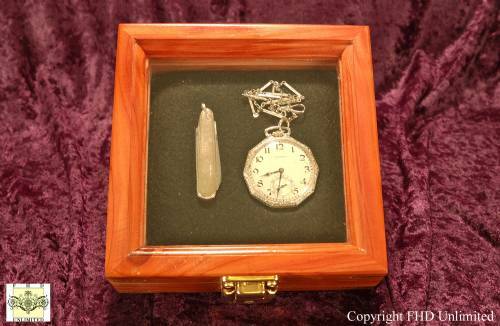 Thank you for helping me find the perfect display case for my pocket watch. 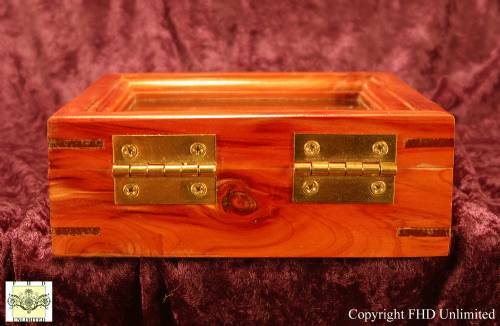 It looks great in the case, and I can display it open or closed....Thanks again, I love it. 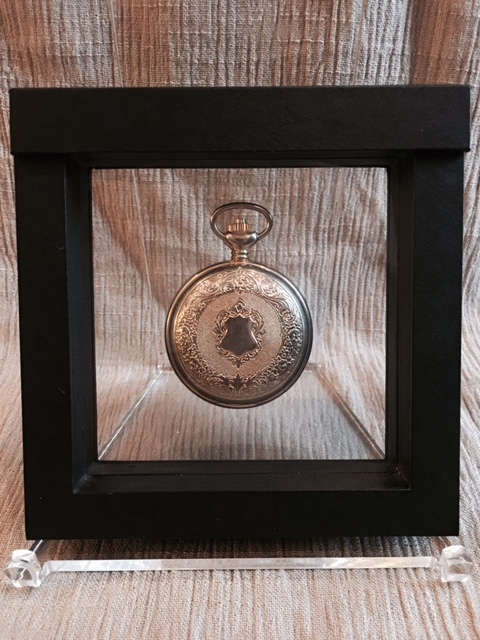 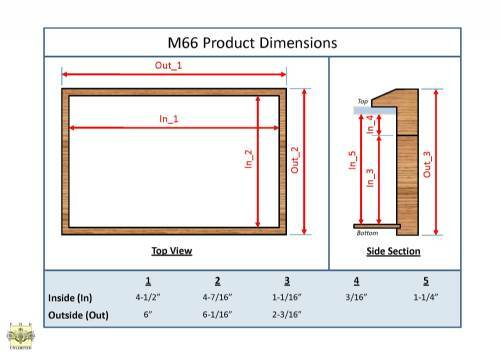 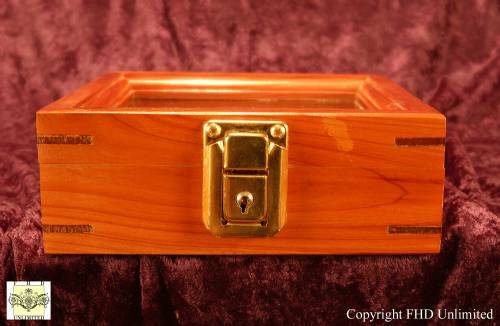 Pocket Watch Display Case - 5-1/2" x 5-1/2"